Sam Kean is the best-selling author of The Disappearing Spoon and The Violinist’s Thumb. His new book, The Tale of the Dueling Neurosurgeons, comes out May 6. 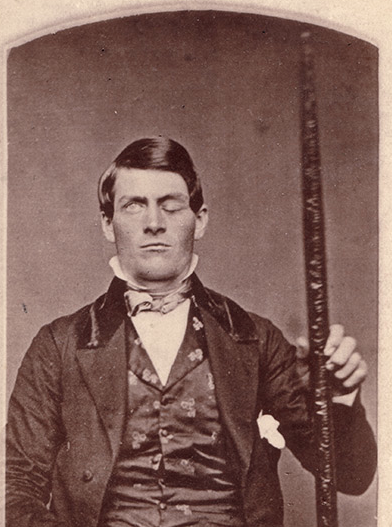 On Sept. 13, 1848, at around 4:30 p.m., the time of day when the mind might start wandering, a railroad foreman named Phineas Gage filled a drill hole with gunpowder and turned his head to check on his men. It was the last normal moment of his life. Most of us first encountered Gage in a neuroscience or psychology course, and the lesson of his story was both straightforward and stark: The frontal lobes house our highest faculties; they’re the essence of our humanity, the physical incarnation of our highest cognitive powers. So when Gage’s frontal lobes got pulped, he transformed from a clean-cut, virtuous foreman into a dirty, scary, sociopathic drifter. Simple as that. This story has had a huge influence on the scientific and popular understanding of the brain. Most uncomfortably, it implies that whenever people suffer grave damage to the frontal lobes—as soldiers might, or victims of strokes or Alzheimer’s disease—something essentially human can vanish.